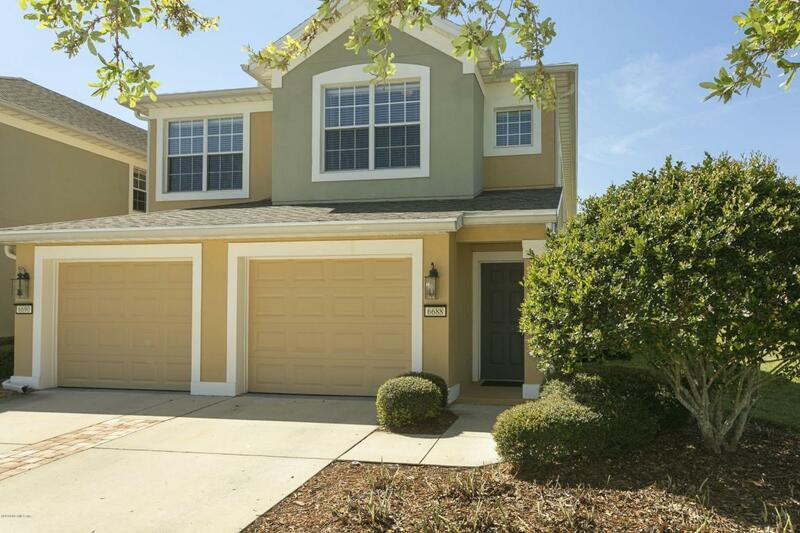 Beautiful end unit 2 bedroom, 2 bath condo in the gated community of Twinleaf at Bartram Park. 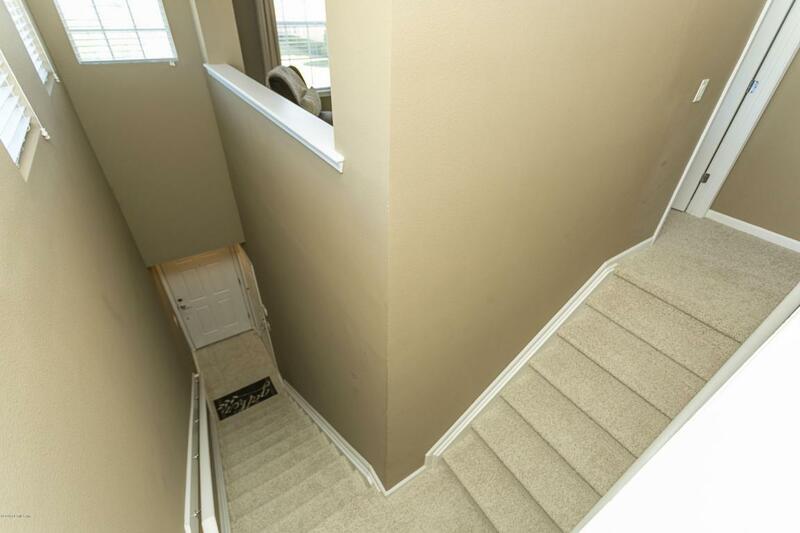 Lofty ceilings and a large dining and living room greet you as you walk up the stairs from your attached garage. Galley kitchen equipped with stainless appliances, breakfast bar, coriander countertops, and 42'' maple cabinets. Large master bedroom boasts walk in closets and a master bath with marble countertops, dual sinks, and walk in shower. 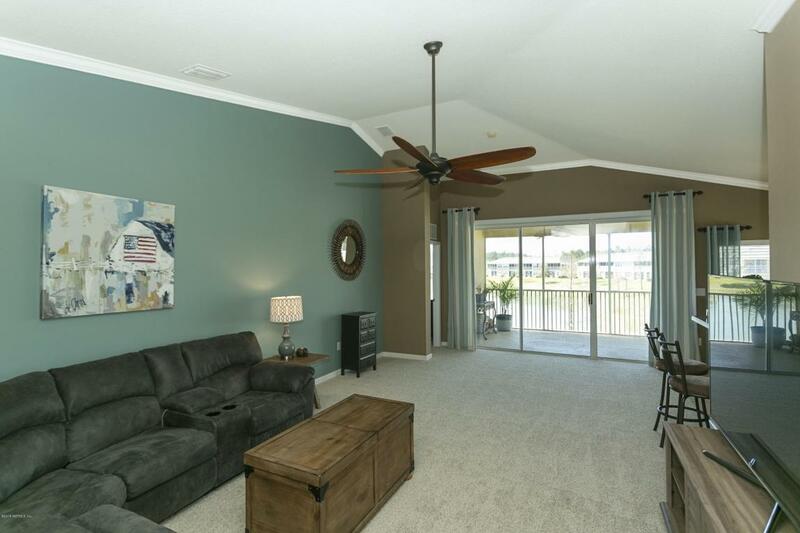 10x20 screened in lanai provides endless relaxation as you overlook a beautiful lake or enjoy a nice meal outside. There is a loft space as well that could be used as study, office, or playroom. 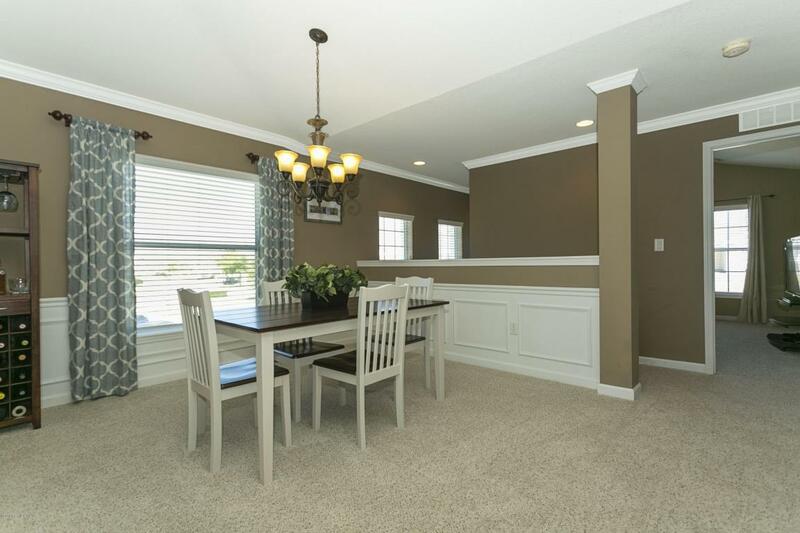 Seller has upgraded home with under cabinet kitchen lighting, tile backsplash, and crown molding. This condo has it all!! !